Carolyn Shelby is a multi-award winning digital marketer with more than 24 years of experience in Internet technologies and digital publishing. She specializes in technical SEO, with in-depth experience in Google News optimization, enterprise systems, and publishers. Carolyn’s career began in 1994 when she co-founded an Internet Service Provider and web hosting company. She is an internationally recognized speaker and trainer, and frequently can be found at conferences like Affiliate Summit, PubCon, SEJ Summit, and The Social Shake-Up. Carolyn also contributes to a variety of digital and print publications, writing about search, digital marketing, and social media use by large corporations. In addition to consulting, speaking, and co-founding an ISP, Carolyn operated one of the first online city guides in the world (Lafayette Online), and helped the Journal and Courier become one of the very first print newspapers to have a web version in 1995. She was also one of the original three hosts of WebmasterRadio’s SEO 101 podcast, which logged more than 60,000 downloads per month at its peak. 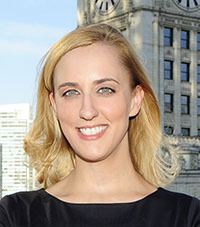 Carolyn recently left her role as the Director of SEO for Tribune Publishing, where she worked on the Chicago Tribune, the LA Times, and eight other Tribune newspapers, including a number of other digital properties (like ForSaleByOwner.com) around the United States.